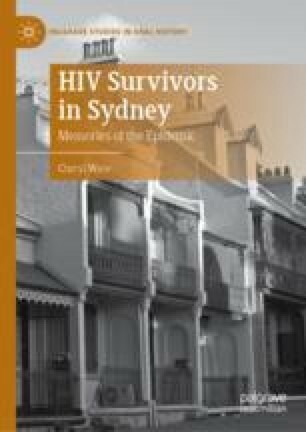 This chapter traces HIV-positive gay men’s changing attitudes towards disclosure. This evolved from narrators concealing their positive statuses in the mid-1980s to appearing in the media as the “face of HIV” the following decade. Existing historiography almost exclusively focuses on HIV-positive men who publicly declared their positive statuses across the late-1980s and 1990s. Yet public disclosure among HIV-positive gay men was a considerably more complex and gradual process. Ware engages with the voices of these men to explore narrators’ memories of the silence that shrouded discussions about living with the virus across the mid-1980s, their personal motivations to conceal or disclose their HIV-positive status, and the ramifications of being identified as a gay man with a stigmatised virus.